WHAT ARE THESE MOLD SPORES AND ARE THEY DANGEROUS? Mold spores are tiny bacteria less than 4 microns in size - so small that as many as 250,000 spores can fit on a pin head and a person can inhale as many as 750,000 of these spores per minute. The body has natural defense filtering systems - such as mucous lining, coughing and sneezing - against dusty air which helps remove some contaminants, but most contaminants overpower and pass through these defenses. 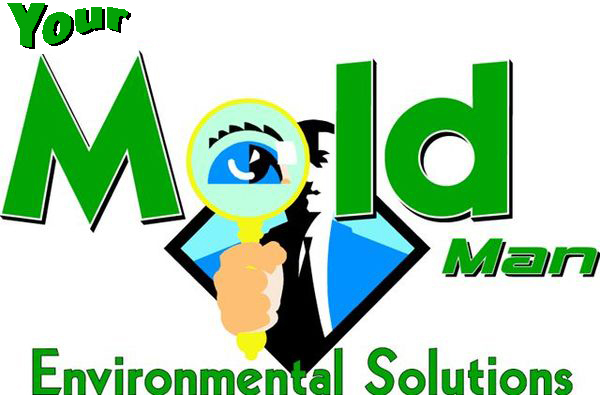 Mold spores not only bypass defenses because of their number, but also because they are so small. Ultra-fine particles, like mold spores, move into, accumulate and settle into the lower lungs. There they produce toxins. The lungs transfer oxygen to the bloodstream, and most of the actual exchange of carbon dioxide and oxygen takes place in the lower lungs. Now the lungs become a roadway for toxic materials to travel through the bloodstream with the oxygen. The body's reaction to the toxins can permanently affects the lungs' ability to transfer oxygen into the bloodstream. The lung tissue can becomes permanently scared and each exposure to mold spores can increases the damage. The body's last defense against these tiny invaders is to develop an allergy producing cold or pneumonia-like symptoms.